Taxing sugary drinks can help in the fight against obesity, heart diseases, and diabetes, shows new study. But Big Soda continues to oppose local efforts to imposes such taxes. Remember how Big Soda spent $2.3 million during the 2014 elections in a desperate attempt to kill the City of Berkeley’s proposal to levy a modest tax on sugary drinks? The industry clearly understood the measure could be precedent-setting and the stakes were high for its bottom line. But residents of the progressive California city understood the stakes were high as well, especially when it came to their health. The measure passed by a resounding 75 percent vote, making Berkeley the first ever city in the United States to tax sweet sodas. Residents in Berkeley's low-income neighborhoods are drinking significantly less soda than they did before the city enacted a tax on sugary drinks. Photo by Rusty Clark. As Big Soda feared, the tax has had a huge impact. A new study by University of California, Berkeley researchers shows that within months of the tax going into effect in 2015, consumption of sugary drinks in the city’s diverse and low-income neighborhoods fell dramatically, by about 21 percent. And today, three years later, residents in these neighborhoods are drinking 52 percent fewer servings of sugary drinks than they did before the tax was passed. The study was published yesterday in the American Journal of Public Health. 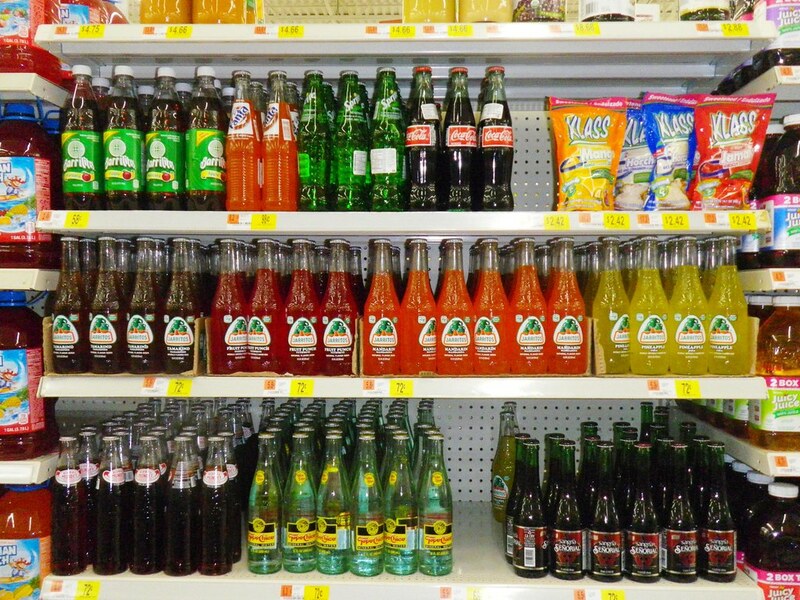 The study comes at a critical time for towns and cities considering soda taxes. While a number of cities, including Boulder and Seattle, now have soda taxes on the books, both California and Washington state passed bills in 2018 that ban municipalities from putting future soda taxes in place. Michigan and Arizona too, passed preemption bills in 2017 and 2018, and similar policies are cropping up across the country. As Journal columnist Anna Lappé wrote last year: “While none of these bills mention sugary drink taxes by name, they simply ban all local food and beverage taxes, or effectively prohibit them by requiring that all taxes on food products must be ‘uniform.’ In other words, taxes cannot target unhealthy products to the exclusion of others, making them impractical.” Lappé points out that the industry tries to pass off these bills as pro-consumer choice policies. The new study, the first to document the long-term impacts of a soda tax on drinking habits in the US, provides strong evidence that soda taxes are an effective tool for encouraging healthier drinking habits, with the potential to reduce sugar-linked diseases like diabetes, heart disease, and tooth decay. 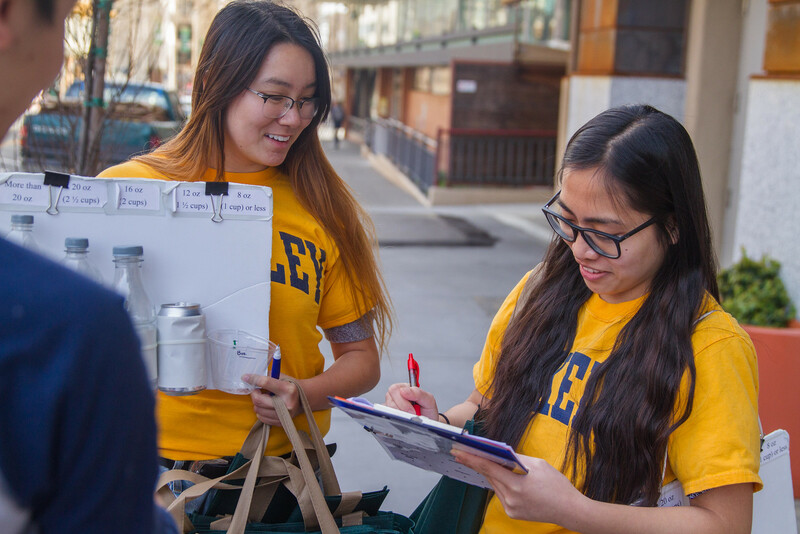 To learn about the city's drinking habits, a UC Berkeley research team polled residents at high-traffic intersections in diverse and low-income neighborhoods in Berkeley, Oakland, and San Francisco. Photo by Kristine Madsen/ UC Berkeley. To find out about residents' drinking habits, the researchers have been tracking the drinking habits of around 2,500 people each year in high foot traffic intersections in racially and demographically diverse neighborhoods across Berkeley, Oakland, and San Francisco since 2014. The so-called “street intercept surveys” revealed a steep drop in sugar-sweetened beverage consumption in Berkeley between 2014 and 2017. The decrease was seen overall for sugary drinks, and specifically for soft drinks like Coke and Pepsi, sports drinks like Gatorade and Powerade, and sweetened teas and coffees. Water consumption also saw a bump, going up 29 percent over the three-year period. Residents of neighboring Oakland and San Francisco drank about the same number of sugary beverages in 2017 as they did in 2014, suggesting that these changes were unique to Berkeley and not signs of a regional trend in drinking habits unrelated to the tax, the study notes. However, Madsen cautions that the study has some limitations: Street intercept surveys do not provide a random sample of residents, and Berkeley is a relatively small and highly-educated city. But then again, she notes that the similarity between these results and the result of another long-term study in Mexico, which also saw increased effects of a soda tax over time, suggest that measures like soda taxes can be a powerful tool in the fight to improve public health. An earlier, 2012 study led by researchers from University of California, San Francisco found that a nationwide tax of one cent per ounce of soda could prevent 240,000 cases of diabetes per year and save 26,000 lives over a decade.